The valuation of older “new homes”. Estate agents proudly state that a home was sold in 12 days, with the implication that the agent is good – more likely he was just plain lucky. It is even more likely, in fact a virtual certainty, that the home was severely undervalued by the agent in the first place. Sold too cheaply. You don’t need an estate agent to sell your home at a bargain price and paying upwards of £7,000 commission to the agent is adding insult to financial injury. Whilst it is well known that most buyers take what they are told by estate agents with a pinch of salt, the same cannot be said of those selling their homes. All too often they are far too trusting, believing that as they are paying an agent for a service, acting on their behalf, in their best interests. However the industry is like the proverbial giant squid, is always “sticking its tentacles into everything property that smells like money.” Take the Energy Performance Certificates (EPC), arranged by agents for £105 yet available online for under £40. 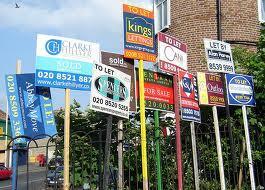 The managers running offices in high street estate agents have monthly sales targets to meet. They need properties on their books that they can sell. Homes they can sell quickly, with a minimum of time and effort or they will lose both bonuses and commission. It matters little to an agent when an offer of £20,000 less than the “asking price” is made. He loses around £300 (at 1.5%) but the vendor loses £20,000! The great sellers’ rip-off begins with the valuation visit. They invite the agent into their home for a valuation, trusting that the agent is the professional and will advertise their home for the maximum achievable in the market. The agent will already know what “price” he will tell you to market your home for before he even gets in his car! This will be based on the most recent sales and homes currently on the market in the area. It will have little to do with the location, condition and features of your particular property. If a four-bedroom home on an estate was priced at £335,000 and sold for £320,000, then this is what he will suggest you market your four-bedroom home for and the price you can expect to get. This irrespective of the desirability of your home and whether it is double fronted and has additional rooms. 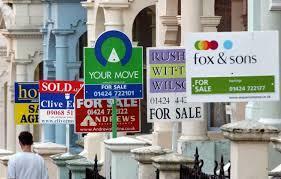 Boost for first-time buyers as buy-to-let landlords’ profits are slashed in crackdown on mortgage interest tax relief. 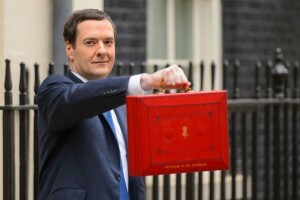 Thousands of buy-to-let landlords will see their earnings hit after George Osborne cracked down on mortgage interest tax relief in his summer Budget. These were the headlines but the reality is a bit different. Whilst the proposals are a welcome start to end the unfair tax relief enjoyed by buy to let landlords, nothing is going to change any time soon. 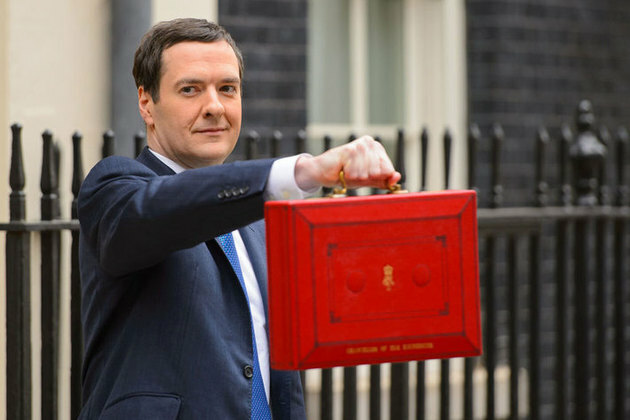 The Mañana Chancellor ,George Osborne hits buy to let landlords in his latest Budget – but not until April 2017 and even then the measure will be phased in over four years! This is to give landlords time to “sort out their affairs.” More likely, it will enable many UK landlords to side-step the new measure by choosing to own properties through corporate structures to continue to benefit from relief on mortgage interest payments with lower corporation tax, cut to 18% by 2020, another incentive according to mortgage brokers. In the budget, tax relief for landlords on mortgage interest payments is to fall and they will only be able to claim the basic rate 20% tax relief on mortgage interest payments rather than 45%, or their highest rate. 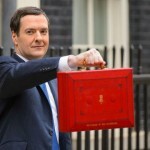 The Chancellor said the move will “level the playing field for homebuyers and investors”. The current tax break for landlords is estimated to cost the Treasury £6.3billion every year a Freedom of Information request revealed. The highest paid 1% receives around 8% of the national income. The wealthiest 1% owns 23% of the national wealth. It is in property where greatest inequalities lie, not income. Most people are in favour of higher wages and benefits for the poor, higher taxes on the rich 1% and the provision of food, clothing, shelter and health care for all. Who are against this? The rich. Even though the vast majority of our population is in favour of progressive and fairer policies, the rich are better placed to influence politics. Why else do wealthy individuals give so generously to political parties? The rich have always prioritised their own self-interests above the needs of the many. The UK residential market is a prime example. The rich have squeezed out any resemblance of affordability for the many, through ever-higher house prices and declining real term wages. Demand from private buy-to let landlords, who have the benefit of generous tax breaks that homebuyers do not, have helped force house prices ever higher at the expense of working first-time buyers. Policies such as ‘Right to Buy’ have reduced the amount of affordable, state-owned homes for rent by people on low wages or benefits. The result, those that need to rent are being forced into the private rental sector, with higher demand from those receiving housing benefit resulting in the rich landlords increasing rents ever higher, when rents can be covered by taxpayers to the tune of up to £15,000 a year, irrespective of what is considered a ‘reasonable’ or ‘affordable’ rent. Designed as a cynical piece of electioneering, the Chancellor announces the Help to Buy ISA in his Budget speech. Like most knee-jerk policies, this was intended to attract the maximum amount of media coverage whilst the benefits to first-time buyers will be minimal. As Merryn Somerset-Webb sees it in MoneyWeek: “Handing over free money to compensate for rising house prices” in an “attempt to buy the votes of the young rather than actually help them” – I could not have put it better. 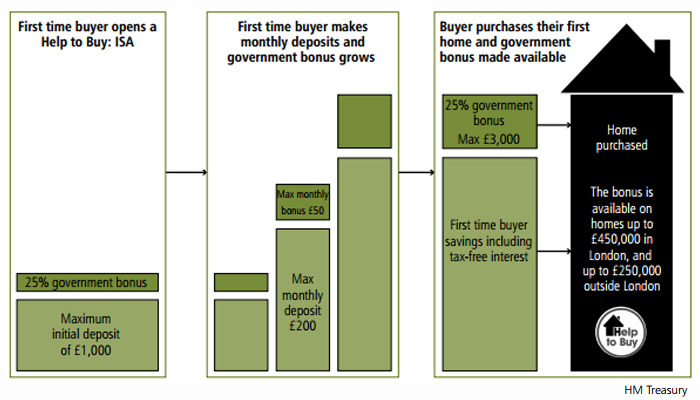 The new Help to Buy ISA accounts (‘Bisa’) are expected to be available from Autumn 2015 until 2019, but once an account is opened there is no limit on how you long you can save for. Under the rules, buyers will be able to pay in an initial £1,000 and then save up to £200 per month. As with existing ISAs, any returns will be free of tax but in addition, for every £200 saved, taxpayers will contribute a further £50, up to a maximum bonus of £3,000 on £12,000 saved. The government 25% contribution bonus only becomes payable when the funds are used to buy a property. The ‘Bisa’ accounts will be limited to one per person rather than one per home, meaning first-time buyers saving for a deposit for a home will both receive a bonus. So a couple saving towards a first home together could benefit from a potential bonus of up to £6,000 as both savers would be eligible for a £3,000 bonus. The bonus will apply to both the amount a person saves into their Help to Buy ISA and the interest that has built up during the period the account is open. The bonus will be limited to first-time buyers’ home purchases up to £450,000 in London and up to £250,000 outside London. 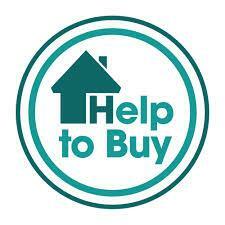 Help to Buy ISAs will only be available to those aged 16 and over. The Stamp Duty reform announcement in George Osborne’s Autumn Statement is yet another example of UK Government’s generosity towards the house building industry. It could be argued that anyone buying a home, old or new-build will benefit, with reportedly 98% of homebuyers paying less from today. However the reform, whilst long overdue, will mean more people paying higher stamp duty in the long run with the housing market no longer constrained at the old price threshold levels and sellers free to tick up asking prices above the £125,000 zero threshold. Many experts say the surprise change to the stamp duty system is likely to provide a fresh boost to the housing market and lead to higher prices for homes where the tax will be cut, property experts have warned. Mortgage lenders and estate agents have argued for a long time that this distorts the market, with house prices bunched just below thresholds. Taylor Wimpey CEO Peter Redfern suggests there is scope to increase prices of new homes even in a falling market! Posted on 13/11/2014 by New Home Expert | Comments Off on Taylor Wimpey CEO Peter Redfern suggests there is scope to increase prices of new homes even in a falling market! The Daily Telegraph recently published a story featuring Taylor Wimpey CEO Peter Redfern claiming that new regulations following the Mortgage Market Review, which have restricted borrowing for second-hand homes, have not adversely impacted the business and Help to Buy is still being used by their first time buyers. The company also announced that it is fully sold for 2014 and has confirmed a profit upgrade. Mr Redfern, in a somewhat blatant attempt to talk up the prospect of further new home price increases, is claiming that housebuilders have more room to adjust prices upward since they were starting from a lower base, having fallen behind valuations for existing homes after the great recession. So are we to interpret that, housebuilders such as Taylor Wimpey have not increased their prices in line with the general local market since 2008? If new homes were penalised, it was because there is always a 10-20% price premium. Lenders required higher deposits to give more of a buffer to account for the premium and added risk of steeper falls in valauations should the market turn. Comments Off on Taylor Wimpey CEO Peter Redfern suggests there is scope to increase prices of new homes even in a falling market! Stamp Duty is not a fair tax but have Scotland got it right? Posted on 15/10/2014 by New Home Expert | Comments Off on Stamp Duty is not a fair tax but have Scotland got it right? There are few who could argue that stamp duty land tax is as unfair as it is unpopular and well past its ‘reform by’ date! With the current thresholds and the excessive tax incurred, it is hardly surprising that more and more people are staying put. 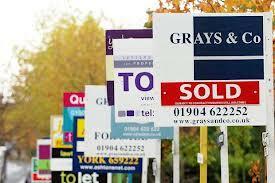 A report in The Times highlighted that in the 1980’s, around 12% of all houses changed ownership every year. Last year the figure was just 4%. There have long been calls for stamp duty to be made marginal, the same as income tax, so that the percentage paid relates to the amount above each particular threshold, rather than on the whole amount. This is precisely what Scotland are introducing from April 2015 with their Land and Building Transaction Tax announced last week. For a start no tax is due on properties sold for less than £135,000 – £10,000 higher than the rest of the UK. Then between £135001 and £250,000 a 2% tax is charged but only on the proportion above the nil-rate threshold. After that it gets a bit silly! A 10% tax is due on the proportion between £250,000 to £1 million and 12% on anything above £1million. 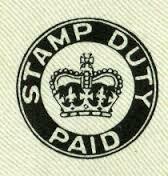 Comments Off on Stamp Duty is not a fair tax but have Scotland got it right? Buyers looking for a property in Edinburgh, Scotland’s famous capital city, are likely thinking of a flat or maybe two or three-bed home in which to raise a family. Most are certainly not looking to spend to buy a £50,000 lock-up garage. Incredibly, that seems to be the going price for a mere lock-up these days, at least according to an article in the Edinburgh Evening News. The paper, first published in 1873 and should therefore know a thing or two about Edinburgh, reports no less than three garages with mind-boggling price tags have recently gone on sale. The garages include a double-garage with an electric door in Inverleith Terrace Lane and another with electricity and running water in Portland Row, Leith, both priced at £50,000. The good news, however, is the third garage, a West End lock-up, is being offered at a much more reasonable and affordable price, a mere £40,000 – the same price as a two-bed house in Muirhouse, according to the Evening News article. But readers will no doubt have been gladdened when the paper explained the rash of interest in the single garage on Palmerston Place is nothing more than a reflection of the current strength of the city’s property market. At least that’s the view of city property experts. Meanwhile, back on earth, a record number of affordable homes are being built in Edinburgh with more quality housing than ever before available to rent or buy. Following our articles on New Home Blog regarding house builders profiteering from the Help to Buy equity loan scheme and the government wasting taxpayer’s money advertising it on television, this letter was received from Housing Minister, Kris Hopkins, (on behalf of George Osborne) in response to the points raised. It was 11 weeks before Mr Hopkins even responded. His statements are misleading and do not answer the arguments in our articles. In response, there cannot be a single person in the UK who has not heard of Help to Buy. In fact anyone considering buying a new home would have the scheme rammed home by house builder’s sales advisors and mortgage brokers. There was absolutely no need to advertise Help to Buy on television, wasting taxpayers money at a time of so-called “austerity.” It is actually advertsing new build homes. As for Help to Buy being an “opportunity” this is questionable, as the market is overheating. Those buying 80% of a new home could well find that in a few years time, they have over-stretched themselves and may even suffer negative equity, especially when the scheme has enabled house builders to increase their average selling prices by around 20%! What exactly is the “hard working” family that we are hearing so much about? People who work two jobs? People who work long hours? People who work physically hard like scaffolders and miners? Or are they, as is probably the case, the vast majority of people who do a days work but do not actually get paid a fair wage in return struggling in the face of higher taxation and rising grocery, energy and fuel bills – all caused by government policy diluting the real value of our currency. If the government truly wanted to “help” struggling “hard working” first-time buyers, why not abolish stamp duty land tax rather than subsidise house builders and hand taxpayer’s money to their shareholders? Surprisingly, “hard working” new home buyers from overseas can also take advantage of the UK government’s “generosity”. There are no explicit rules or a requirement of citizenship or residency of those benefiting from loans under Help to Buy, although the schemes cannot be used for the purchase of second homes or for buy-to-let purposes. But how would anyone find out if an overseas buyer also owned a home in their own country and using the Help to Buy scheme as a way to reduce property speculation an investment costs? This is the same line trotted out by various plc house builder CEOs and their lobby group the Home Builders Federation (HBF) whenever the Help to Buy scheme is called into question. They still believe that Help to Buy can do no wrong – we’ll see! This is not unexpected, given the low base starting point after the previous, low cost, credit-fuelled property bubble. House builders are throwing up as many new homes as they can to make the most of the subsidies while they can. Put food in front of a pig and it will eat more! But not by a corresponding percentage Mr Hopkins! Most of the plc house builders have already reported increases in profits of around 50% in their most recent annual reports. This is not even reflected for a full year of Help to Buy. Redrow profits are up 107%, Barratt reported profits up 162%. In addition, house builders are all reporting increases of 14%-17% in their average selling prices, way above increases in the general market, hence the profit. You charge more when your customers can pay less, with the taxpayer picking up the difference! Charging more equals more profit! Whilst this may indeed be true, what it does not reflect is the proportion of Help to Buy loans taken up by the largest house builders. These typically represent on average, around 30% of their total sales. Based on the latest available figures from the top five house builders by volume, around 25% -30% of their buyers have used Help to Buy. That is around 12,000 (62%) of the total 19,394 new homes sold using Help to Buy equity share to 31 March 2014, with five of the largest plc house builders accounting for over 62% of the Help to Buy loans thus far. This could be even higher when they report accounts with the benefit of a full year of Help to Buy. For the top ten house builders by volume, Help to Buy accounted for around 15,330 of their sales, nearly 80% of the total Help to Buy loans to just 10 house builders! So it is misleading in the extreme to imply that small to medium sized builders are getting the most benefit. George Osborne agrees, but has been distancing himself from possible fall-out lately, saying the BoE has all the tools to prevent a house price bubble. Obviously Mark Carney the Governor of the Bank of England disagrees as does Christine Lagarde at the IMF who urged the UK Government to rethink Help to Buy last Friday. But hey, what do they know? Kris says it’s all OK! Try looking harder! Taylor Wimpey CEO Peter Redfern stated in a blog on his company’s website that they hve six years’ supply of land with planning permission. As Taylor Wimpey has a land bank of around 65,400 plots and built 11,696 homes in the year to 31 December 2013, it would imply all of Taylor Wimpey’s land bank has planning permission but not all of it is being built on! Even allowing for the 10,000 plots with “planning conditions yet to be satisfied” Redfern alludes to the fact that his company has 30,000 plots ready to be built right now – half Taylor Wimpey’s land bank! It is to be suspected that a similar situations exist with the other large house builders, why else was their such a outcry of whinging from builder CEO’s over Ed Miliband’s proposed land grab earlier this year? Despite whatever Hopkin’s data from Glenigan or opinion from estate agent Savills might suggest! So there we have it, 11 weeks to come up with a misleading response full of government spin defending house builders profits yet failing to answer or even acknowledge any of the real issues, much as George Osborne’s did at the Treasury Select Committee meeting on 26 March 2013.